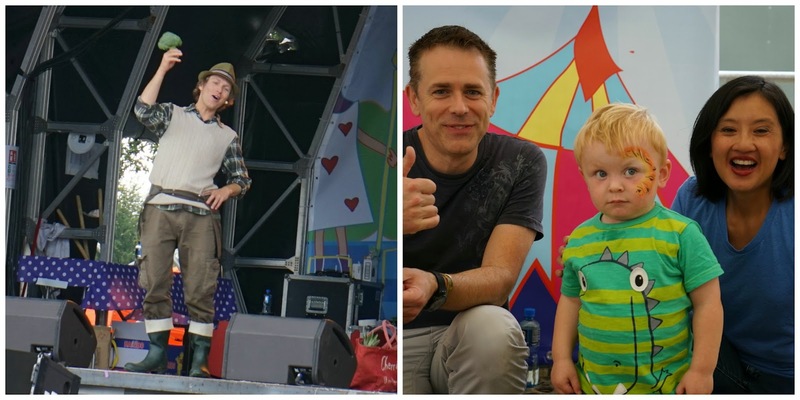 Entertaining Elliot: Lollibop - The Day Elliot met his idol!! 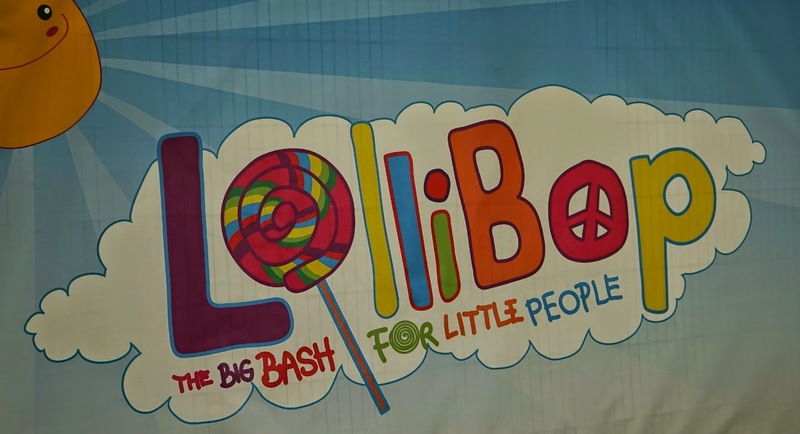 Lollibop was billed as "The Big Bash for Little People" and it certainly lived up to this! It was a 2-3 hour drive up to Hertfordshire from our home in Dorset (that's 2-3 hours of Elliot chanting Andy! Andy! )so we decided to make a weekend of it and stay in a nearby hotel on the Saturday night. After a great night's sleep in a kingsize bed (room for all 3 without mummy and daddy getting kicked by a certain little person!) we made our way to Hatfield House where Lollibop was being held. The gates opened at 10am but we left nice and early to avoid any potential traffic and we were parked up shortly after in the large carpark. Benefits of getting in early - less distance to walk from the car to the entrance!! After a short wait we were let in and we headed straight for the Thomas The Tank Engine area. Elliot is train mad and couldn't wait to have a clamber on Thomas! It was set out like a village fete and there were little stalls where you win prizes, all totally free. 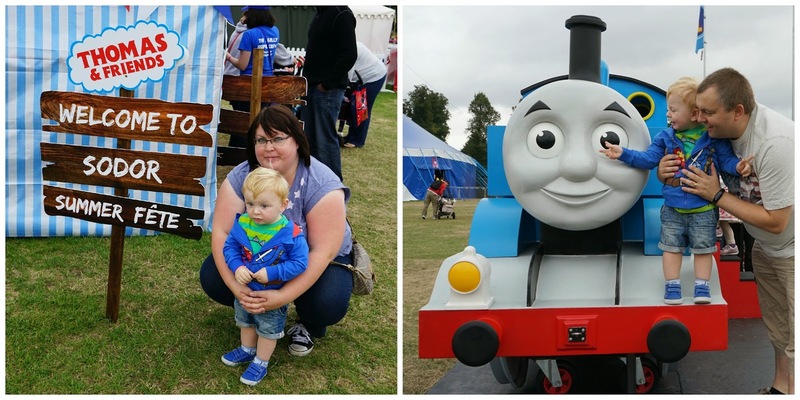 After winning some Thomas goodies we managed to drag Elliot away and onto the Activity Fields. This section included Little Tikes, Duplo, Baby Ballet and more. 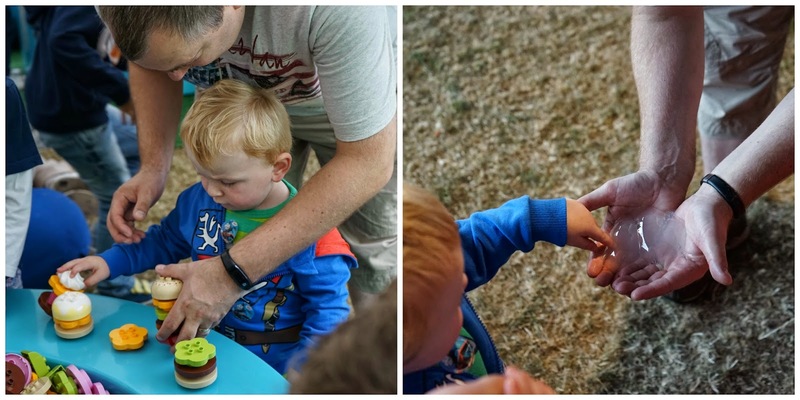 We enjoyed the Duplo tent, Elliot loved building a lego burger! We moved onto the Discovery Zone which featured stands such as the Science Museum, Beano, National Geographic Kids and Nintendo. These were aimed at older kids I think but we spent some time at the Science Museum making some pretty cool squidgy balls that evaporated into a puff of smoke! We also popped into the National Geographic tent and saw a millipede and a tarantula, eeek! 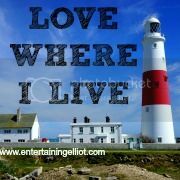 The Bear Grylls Survival Academy and Lollikitchen were also located near here but despite aiming to visit later in the day, we just ran out of time! We spent the next hour or so exploring The Meadows area and dodging the torrential showers. Sunny one minute, tipping it down the next! Despite the number of people at the festival, this area was really spread out so it was nice and quiet. We picked up lots of freebies here including Bear paws and alphabites , Vita Coco drinks , loads of Haribo, Pom Bears, Skylander cards - Elliot was in his element with all the snacks ;) We even decorated a tshirt in the Vita Coco Kids Beach Club! There were so many things to see and do here and Elliot was thoroughly entertained. He loved seeing the ducklings in the Incredible Eggs tent! He was also fascinated by the giant bubbles in the market stall area. 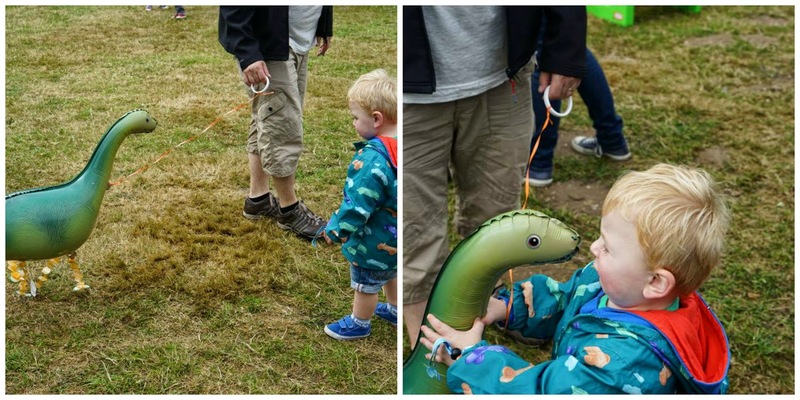 Despite all the freebies, it wasn't long before we had to part with some cash and we decided to buy Elliot a giant helium dinosaur with legs!! We didn't really think it through though - it had a life of it's own and was flapping about all over the place in the wind so my husband decided to take it back to the car! We decided to let Elliot have his face painted and he had some tiger stripes painted on his face - I'm actually surprised he managed to sit still and not fidget! We were all getting a bit peckish by now so we decided to get lunch from one of the many food vendors. There wasn't a grotty burger van in sight - all the food stalls looked amazing and I wish I could have tried something from every one of them! I let my husband choose and he came back with some Caribbean jerk chicken wraps and fried plantain. I like a bit of spice but the wraps nearly blew my head off and although they were really tasty I just couldn't finish it! 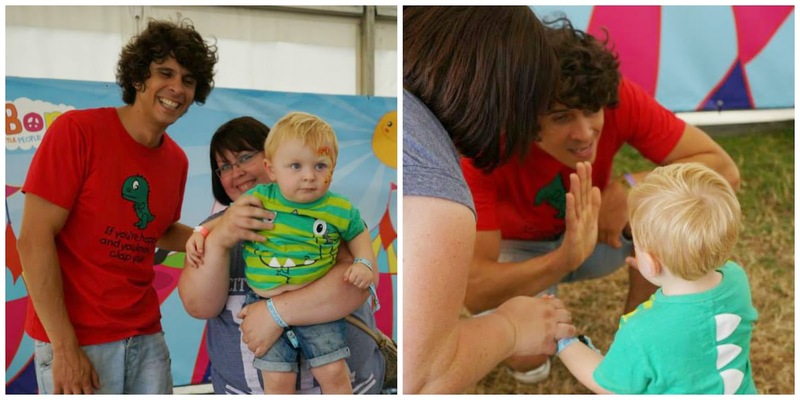 Elliot dozed off after lunch so we spent abit of time relaxing on the grass...and loitering near the Meet & Greet tent!! The rainclouds had well and truly cleared by this point and it was lovely and warm when the sun finally came out. Our loitering paid off because we were third in the queue for the most exciting event of the day...the Andy Day meet & greet!! Elliot loves watching Andy on Cbeebies and many a morning we have had to endure his dinosaur raps on the iPad whilst we're trying to get a few more minutes of sleep. All week leading up to Lollibop, Elliot would say "Andy! Andy!" and I couldn't wait to meet him to see how he'd react. As with Mr Bloom, Elliot went very quiet and after giving Andy a very dainty high five he literally just stared at him! Paul was busy taking photos and trying to get Elliot to look at the camera but he couldn't take his eyes off Andy!! It was over too fast and before we knew it we were out in the sunshine again and right in front of Fireman Sam. I'm not sure Elliot really knows who he is but we took a photo anyway. Elliot looked at Fireman Sam and then just walked off - not a fan then! 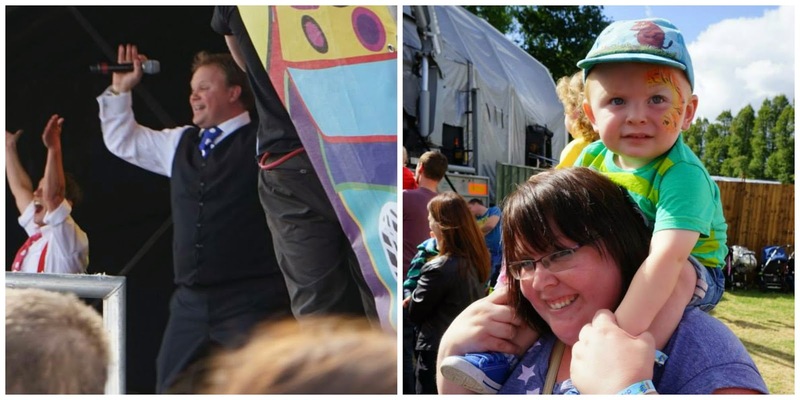 We then moved back across to the main stage where Justin Fletcher was performing. This was easily the biggest crowd of the day and it was great fun. Justin in such a pro but you can tell he absolutely loves doing what he does and all the kids love him. We had a good old singalong and Elliot loved it! Mr Bloom was on straight after and we watched a bit of his show before heading back to the meet & greet tent to see Chris and Pui. They were so nice and exactly like they are on CBeebies. They made a real effort to chat to Elliot (he'd gone mute again!!) and said they'd look out for us when we see their show in Bournemouth next month! They also had signed pictures for the kids which I thought was a nice touch - Elliot's is now stuck on his wardrobe and he points to it and says "Chris! Pee Pee!" haha! Our last activity of the day was the Andy Day live show in the Lollipalladium. Again I was expecting huge queues but it was all very organised and we managed to get in and seated with no problems. Andy's show was packed with songs, dinosaurs, audience participation but Elliot was starting to flag abit by this point and he did start to fidget by the end of it. I enjoyed it though!! Sadly it was time to leave after Andy's show but we could have easily spent another few hours doing all the activities we didn't manage to squeeze in. 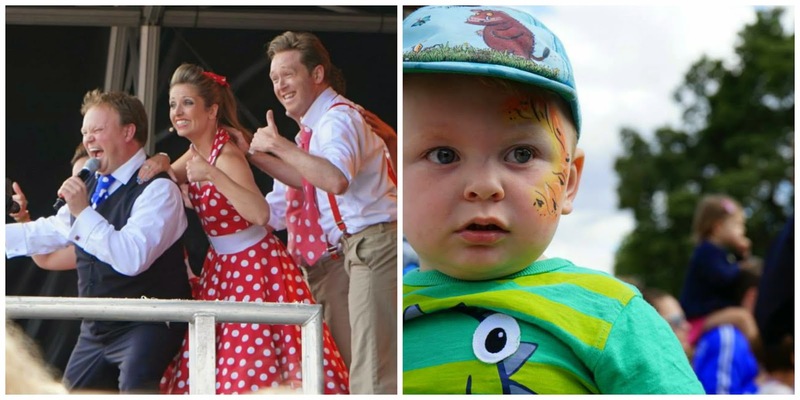 Overall I think that Lollibop was great value for money and we will definitely be heading back next year. 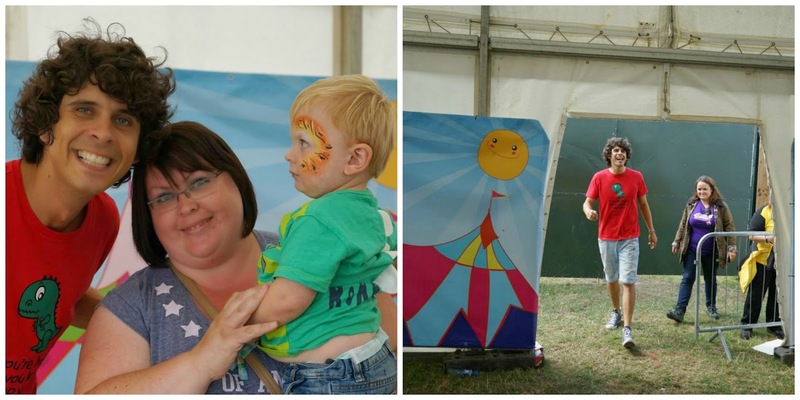 We had a brilliant family day out and it was great to see how much fun Elliot had! 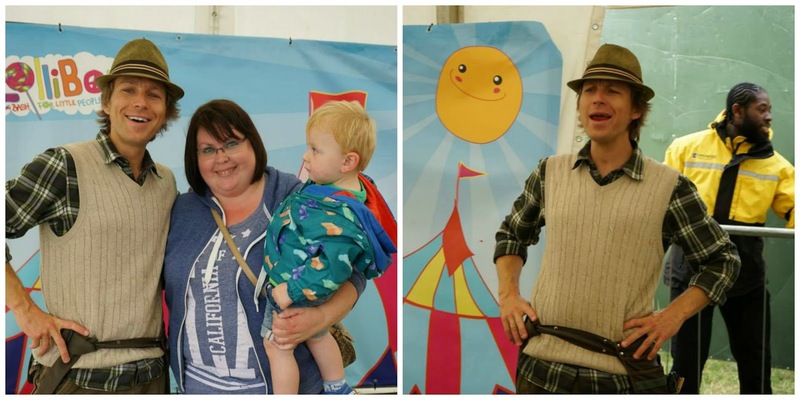 Looks like you had a fabulous time and got to meet lots of the lovely cbeebies team. We didn't see Thomas as mine are past that stage now but looks like you had fun!